If you forget your collection day, call Bristol City Council customer services (0117 922 2100), or look online at the collection dates on the relevant section of Bristol City Council’s website, Bins, Recycling and Street Cleaning. New or replacement bins can be ordered on the above pages as well. 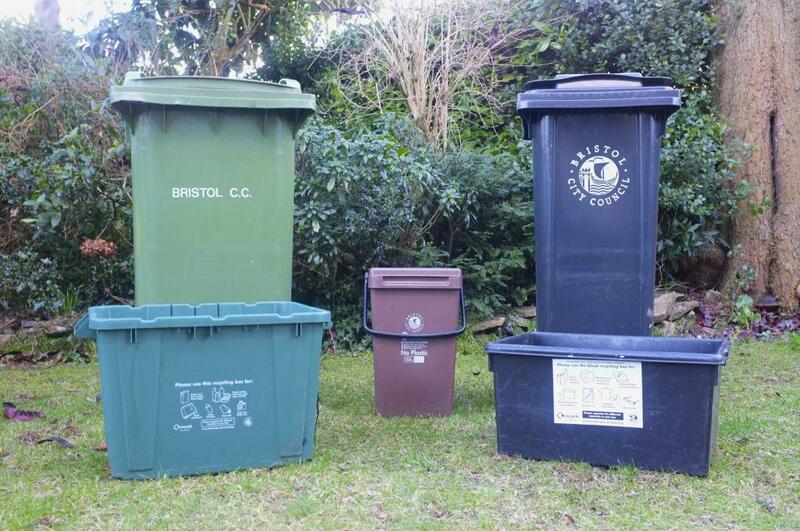 Your guide to recycling from home is a handy guide from Bristol City Council explaining what type of waste goes into which bin, whether wheelie bins, black boxes, green boxes, food waste bins, or garden waste collection. If in doubt call the Council on 0117 9223838 and arrange for a visit from the Waste Doctor. If you know of anyone who has problems with recycling, a visit by a Waste Doctor can be arranged by email: customer.services@bristol.gov.uk giving contact details of the person or property you want visited and why.